Shanghai is said to be the largest city in the world. 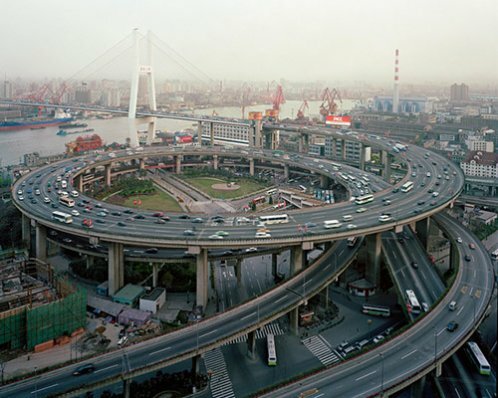 This is one of Shanghai’s busiest and largest interchange that caters to thousands of vehicles every hour. It has five levels of bridges that help connect two of the city’s busiest highways, directing vehicles without much fuss. 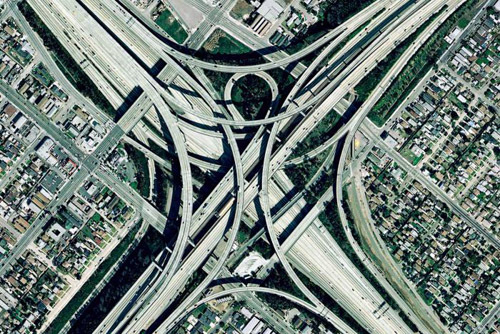 A very very busy, and frequently congested freeway interchange in South Los Angeles. Los Angeles is the major city of California. This is the interchange where the bus jumps the unfinished freeway in the movie Speed. 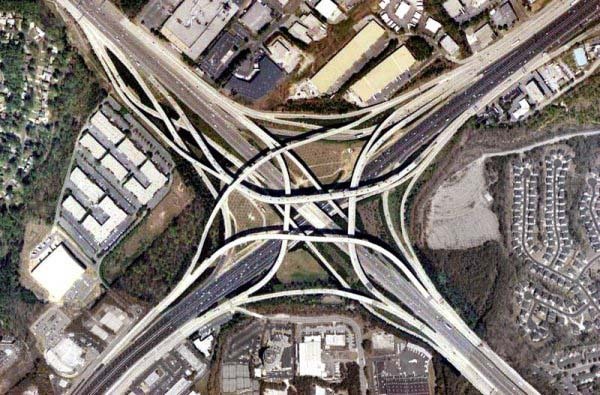 Tom Moreland Interchange is the intersection of Interstate 85 and Interstate 285, along with several access roads, in northern DeKalb County, Georgia, just northeast of Atlanta, Georgia, USA. 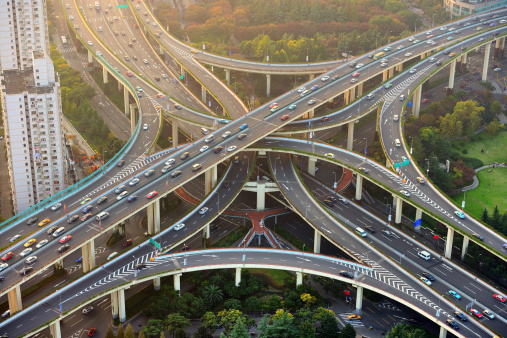 Completed in 1987 at a cost of $86 million, four-level interchange required 120,000 cubic yards of concrete. Traffic now moves at a steady rate, though more than 280,000 vehicles travel the interchange daily. Dallas is the third largest city in Texas and the ninth largest in the USA. Flyovers in Dallas help a lot in reducing the hectic traffic pressure on the road. 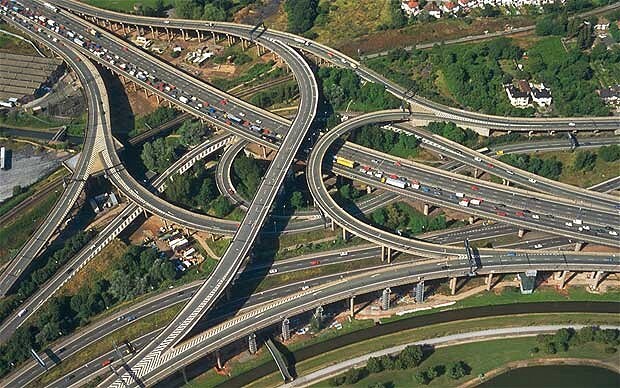 Gravelly Hill Interchange is junction 6 of the M6 motorway where it meets the A38(M) Aston Expressway in Birmingham, United Kingdom. 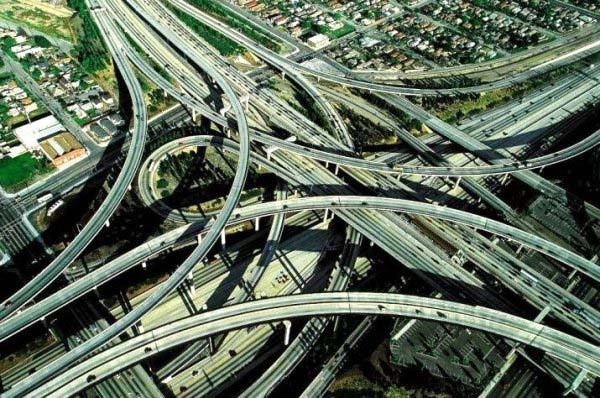 Its colloquial name was coined to describe its complex system of intertwined loops and ramps. The junction covers 30 acres, serves 18 routes and includes 2.5 miles of slip roads, but only 0.6 miles of the M6 itself. It has 559 concrete columns, reaching up to 24.4 meters height. Bangalore, otherwise known as the Garden city of India, has many great flyovers. 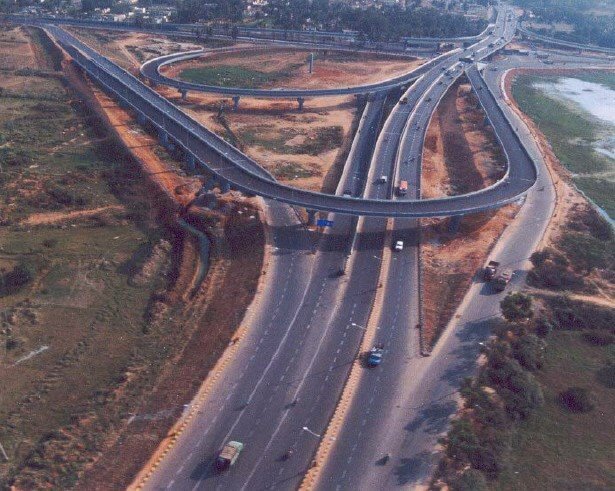 One of the best flyovers in Bangalore is 5.6 km-long Hebbal flyover. 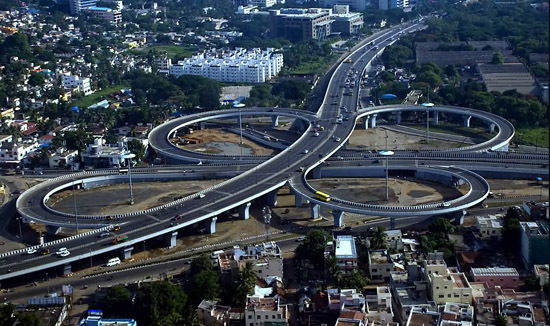 Kathipara Junction is an important road junction in Chennai, India.